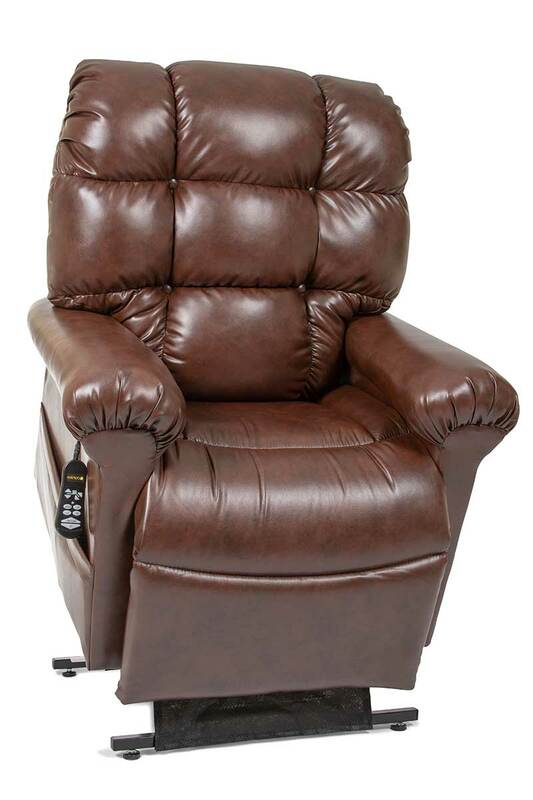 The Cloud PR-510 lift chair by Golden is designed as the new standard in user comfort. A full chaise pad, overstuffed biscuit back cushion, and bucket seat combined with Zero Gravity positioning ensures that you will feel the best you ever have as you find the perfect position in which to relax! For People Taller Than: 5' 1"
For People Shorter Than: 5' 6"